Ok, so as you regular readers already know, I’ve been on a decluttering binge lately. And one of the things I’ve been getting rid of is books. Normally I donate my books to my local library. But last week I decided to try selling some on Amazon to just see what happened. I’ve already made $75 in less than a week. And it was ridiculously easy to do. Selling used books online is an incredibly easy way to earn some side income. Used books always sell well, especially when the economy is down. So if you’re looking for ways to make some extra money, this could be the perfect avenue. I’m so geeked that I’ve made this much with practically zero effort that I’m seriously thinking about turning this into a side business. I’ve always dreamed of selling books, but shied away from online listing simply because I hate taking pictures (like you have to do on eBay) and listing everything. It was just so tedius. But Amazon has made it super easy to list books. There’s no picture taking, and the listing page is really intuitive. I figured it out in a matter of seconds. 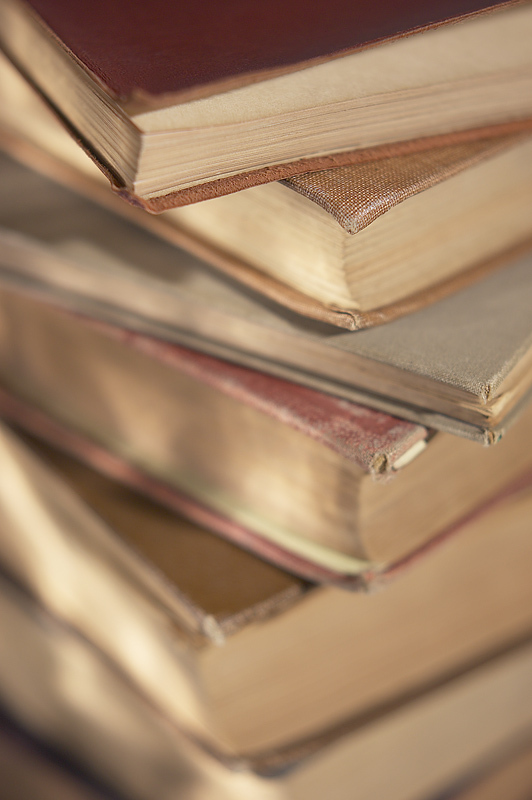 To start selling used books on Amazon, you first need to have books. Obvious first step, I know, but hear me out here. All books are not created equal. This means some books give you a much higher profit than other books. If you go out looking for books to sell and you buy the wrong ones, you’re only going to add to your clutter and lose money. So which books should you be buying, or bother selling? Well, fiction will usually have the lowest profits. What will you really earn the most on? Let’s enter the world of non-fiction. If you have boxes of these kinds of books in your garage, basement or attic, then you could be making money. I think it’s important to focus on niche books. But you have to be careful here. For instance, I have a pristine copy of David McCullough’s Pulitzer Prize winner, “John Adams”. This book falls squarely under “History”, which I just listed. But it’s an incredibly popular book. It’s selling used on Amazon for $2.36. So for me, I’ll get more if I donate it (I get a $4 tax write off for each book I donate). As you can see, it’s important to research before buying a book to see if you can actually make money on it. If you’re lucky enough to have a smartphone with Internet access, this is a great tool to use when you’re out and about. You can simply look up a book online to see what its used price is selling for. To get started selling on Amazon, head over to their Sellers page. As you’ll see if you click the link for Individual Sellers, listing books is super easy. All you have to do is put in the title, make sure you have the correct version of the book, and then describe its condition and name your price. When it comes to naming prices, my strategy is this: I simply list 25 cents lower than the cheapest price already up. And, my books are selling fairly fast. There are fees for listing with Amazon. The site takes 99 cents per sale, as well as 15%. So, it’s a chunk. But the advantage is that everyone buys books on Amazon. So you get a massive audience. You can, of course, sell books on eBay and Half.com. I’ve bought books on both of these sites (although I haven’t sold there). Their fees are slightly lower, but vary depending on the price you list at and the price the book sells for. For instance, eBay will charge you 50 cents to list a book over $10. They also take 8% of the sell price. Another thing to consider is the caliber of pricing. For instance, I did a quick search for “Eat, Pray, Love” on both Amazon and eBay. Amazon’s average price for this book, used, was $7.29. On eBay, it ranged from $2 to $7. You’ll have to check for each book, but you might get more for your book if you list on Amazon. But I’m sure this isn’t true in every case. So where can you find books to sell? And of course, don’t forget your own books and those of your friends and relatives who simply don’t want to be bothered with selling their own books. Do any of you sell used books on Amazon, eBay, or Half.com? If so, do you have any tips for me and other readers? I’d love to hear them! I used to sell my books all the time when I was in college. At that time I had mostly textbooks and history books (history was my major). I definitely got more money selling on Amazon than I would have returning the books to the school bookstore. Amazon was also a great place to buy some of the books I needed for class. I still get things off Amazon occasionally, but most of the books I have now don’t sell for as much so I use local used bookstores or swap.com to trade books I’ve finished for ones I’d like to read. Selling books as a side business sounds fun though! I’ve used Half.com and just posted a few on ebay. I really like Half.com except for one thing. Half.com charges the buyer one price for shipping but only reimburses you a portion of that. I find that I lose about $.19 per sale on shipping so I have to adjust my prices to counterbalnce that. Also, Half.com only processes seller payments twice per month so you are out the cost of shipping until you get reimbursed. But otherwise, it’s very easy to use and I have no other complaints. I’m also new to online selling. I have listed a variety of things on Ebay including books. I was considering half.com but the prices on the books are so low, I don’t understand how people are making money. I have sold a cookbook and a Narnia book and that was only a 7 day auction. I also considered Amazon and actually have a few things listed but no luck yet on Amazon. Currently Ebay is waiving a lot of fees so I haven’t really paid anything yet. I was considering purchasing a scanner but they are so expensive. Love the tips! Good luck with your selling! Thank you for writing about this! It finally gave me the courage to sell a bunch of books cluttering the house, and it’s working! It feels so good to be rid of clutter and be making money 🙂 Plus, I make way more than I would if I were to take them to the local Powell’s to sell.